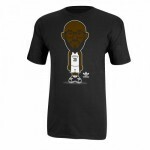 A couple weeks ago, I picked up a couple Geeked Up t-shirts from the NBA store. 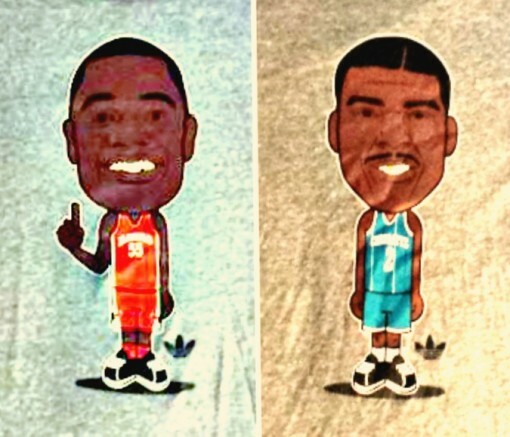 I just couldn’t resist t-shirts with the a cartoon-styled Dikembe Mutombo with his signature finger wag and Larry Johnson in retro Charlotte Hornets jersey flashing his gold tooth. 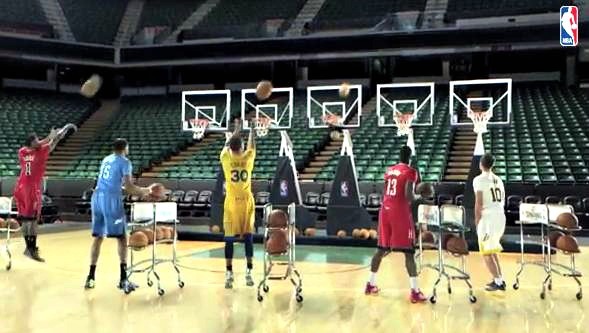 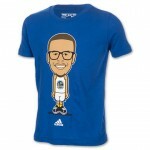 I came back to the NBA store a week later looking for more of the Geek shirts and couldn’t find any. 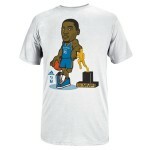 The associates working the floor told me that the shirts sold out fast. 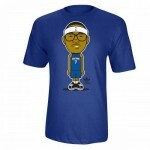 That night, I did some online research about the Geeked tees and was surprised to find that they weren’t readily available, even online. 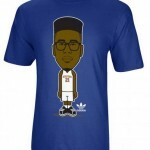 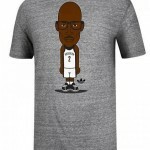 Yes, the NBA and Adidas have released several official geek shirts with nerd versions of LeBron James, Russell Westbrook and Carmelo Anthony, but there doesn’t seem to be a rhyme or reason to when/where they become available. 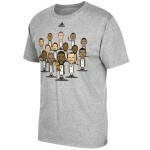 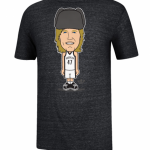 After the San Antonio Spurs won the 2014 Championship, the NBA released a Geeked Up San Antonio Spurs t-shirt featuring the entire squad. 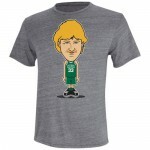 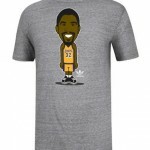 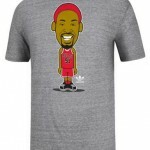 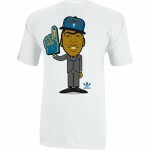 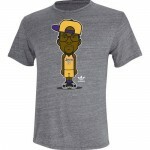 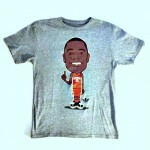 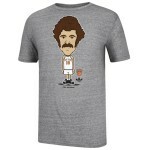 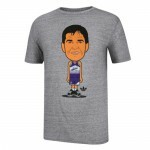 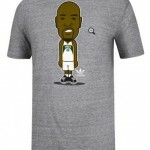 I can only find Geeked Up tees featuring old school players Larry Bird, Chris Mullin and John Stockton on websites like Fanzz. 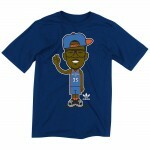 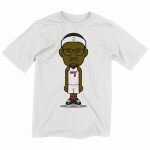 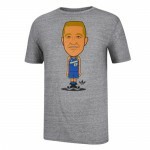 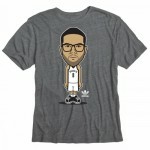 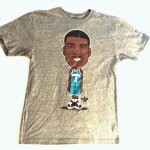 The Geeked Up crew neck, short-sleeve tees are 100% cotton featuring nerded out versions of NBA players. 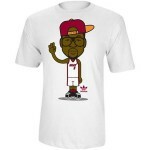 From my research, I was able to find that the following Geeked Up tees have existed at some point or another. Make peace with your inner nerd.